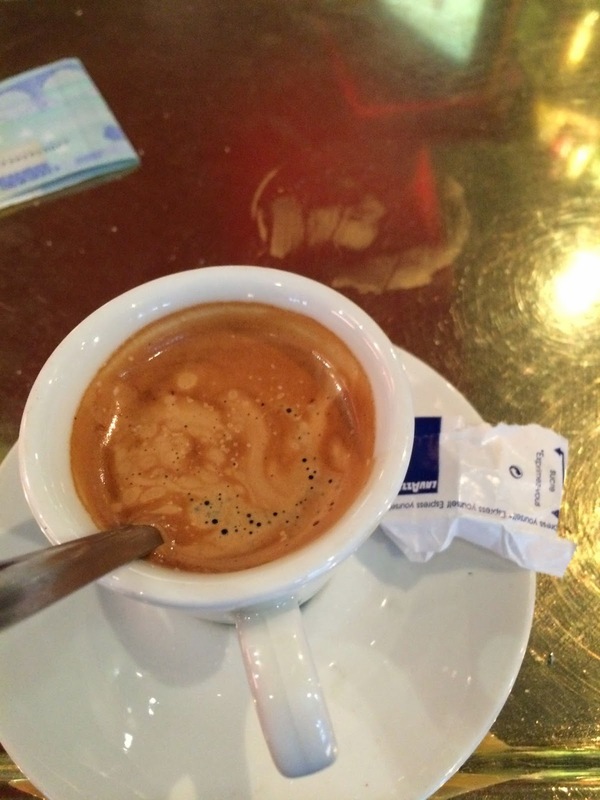 Cara is incommunicado today, so we're posting a chestnut of hers from two years back discussing the "Election Shake up in France." It's particularly poignant in light of this past week's Brexit-EU conflagration. I don't know Marine le Pen, have never seen her in person but this is what's written about her - she's 45, with three children and twice divorced. 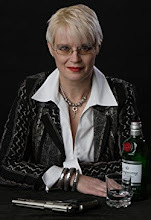 She took over the Front National a party her father founded in 2011 which made a BIG showing in European elections Sunday. Fears are this will turn the party into the most powerful anti-EU and immigration force on the continent. Her father, often described as an old Fascist, once predicted a bright future for Marine, the youngest of his three daughters, by describing her as “a big, healthy, blonde girl, an ideal physical specimen”. Her detractors later nicknamed her “the clone” or “la peste blonde” – the blonde plague – a play on words with the Black Death and “la peste brune” – a reference to the occupying Nazi troops and their brown shirts. But today, she claims to have detoxified the Front National, taken the “extreme” out of extreme-Right and succeeded in forcing her anti-European, anti-euro and anti-immigration agenda onto the French and EU political mainstream. When asked what was the most formative moment of her childhood, she once said, “20 kilos of dynamite”. 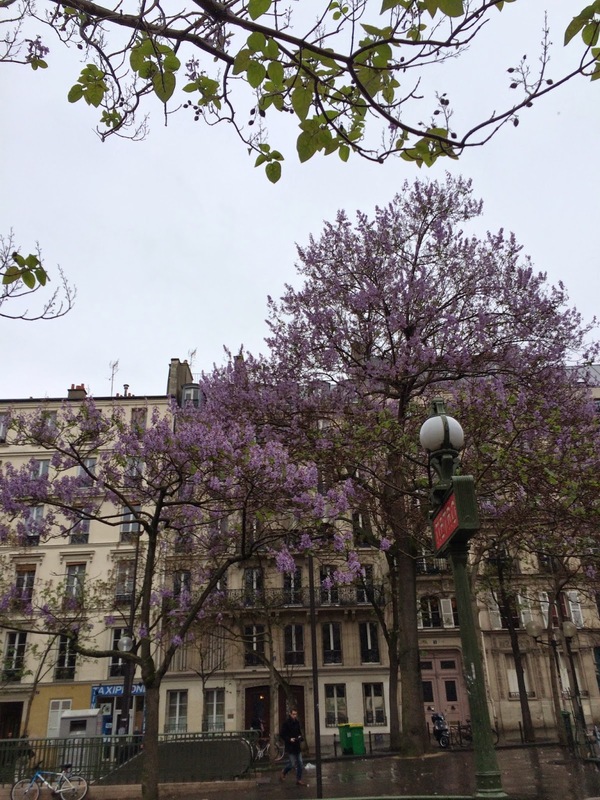 In 1976, when she was eight years old, a bomb tore off the front of the family’s apartment bloc in Paris while they were asleep. “I realized politics could cost you your life,” she said. My friends had mixed feelings or none at all about voting in the EU election held yesterday. Only two people I know voted or at least said they did. Turns out there was only a 43% turnout in France. But most Parisians think whatever happens in the EU doesn't affect them. Well Marine wants to make sure it does. And board the Simplon Orient Express. 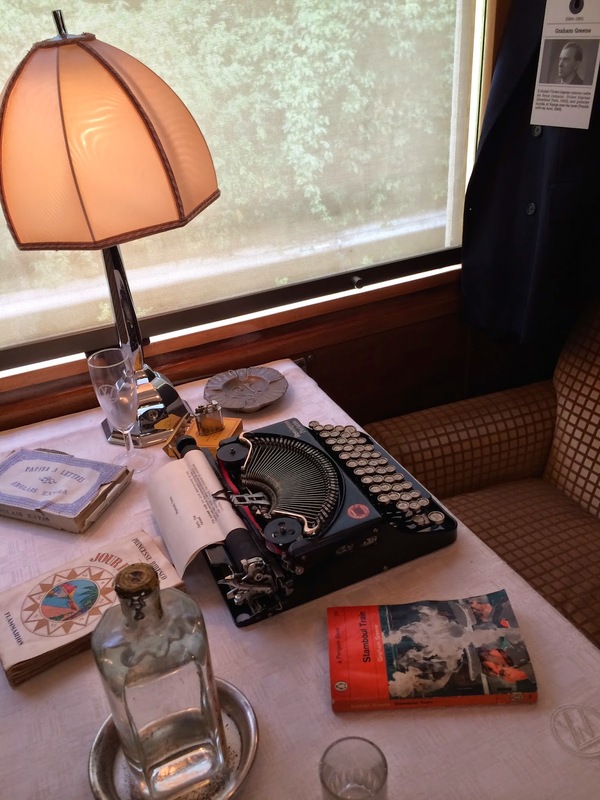 There's a wonderful exhibit with the actual train cars of the fabled Orient Express. Inside the original cars it's like a stage set. 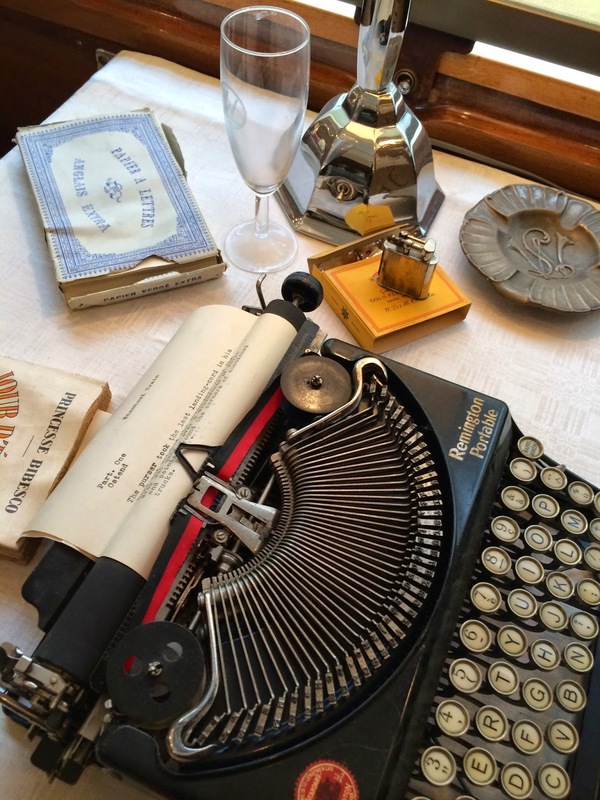 Below is Graham Greene's typewriter. 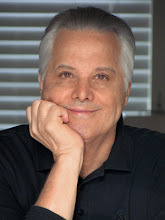 The pages starts with the story 'Stamboul Express' he wrote onboard. Cigarettes of the time, wine glasses, down to the original Bacarrat glass windows and fixtures. 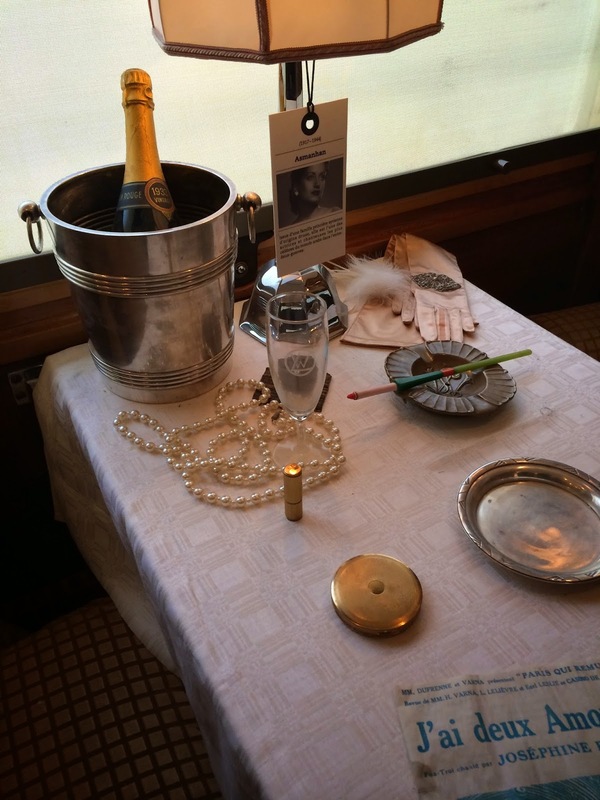 Pearls and Champagne on ice from Josephine Baker's rail car. 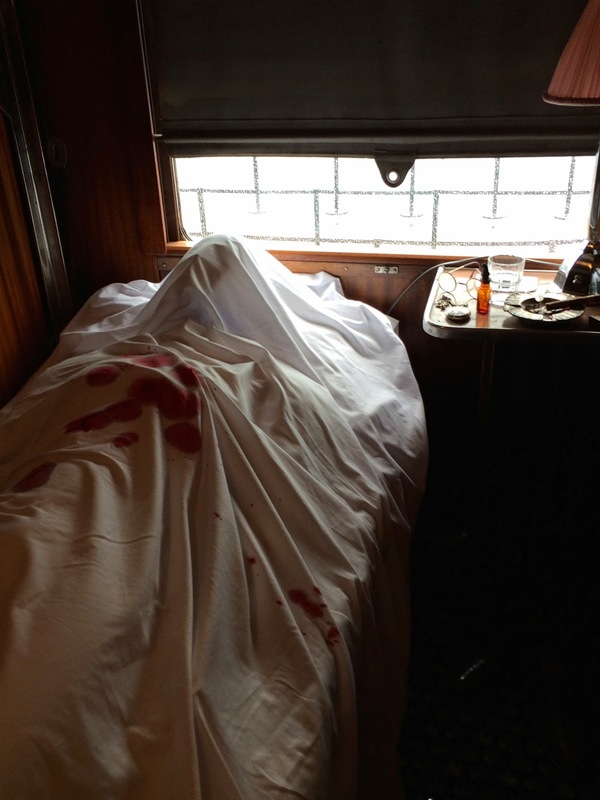 The bloody body from Agatha Christie's Murder on the Orient Express. 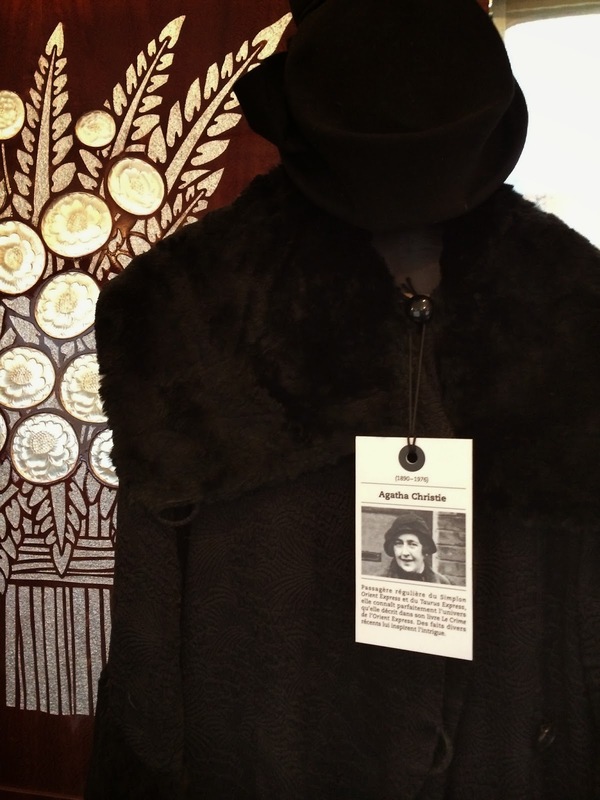 Even Agatha Christie's coat and cloche hat. In an article in the New York Times magazine a few years ago, Le Pen said that the target was now immigrants, no longer the Jews. How nice. Her father then made some pro-Hitler statements and was banished from public view. Meanwhile, the National Front won some local elections -- and those politicians are discriminating against immigrants. 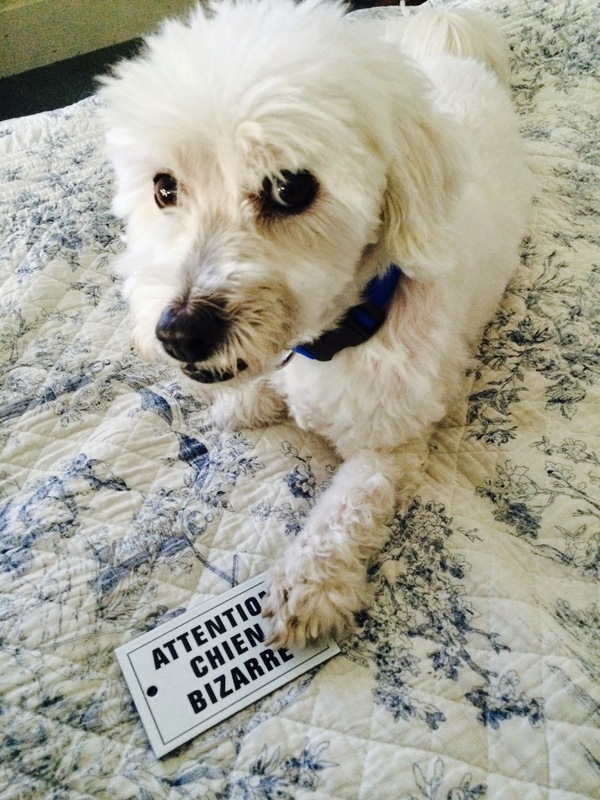 They are very dangerous. People really have to rally against them. Or what's happening in Britain now as stated by Ali Karim, the attacks on immigrants and people of color, will escalate in France, too.